SEATS UP TO 45 P.P. SPECIAL MENU FOR 20 OR MORE. PLEASE CONTACT THE RESTAURANT DIRECTLY FOR MORE DETAILS. CHEF NINA VINCENT’S style of cuisine and consummately renowned sauces’ are of such unique flavor, that it has been said, “food turns holy in Nina’s hands". This incomparable talent stems from the loving practice of long experience and great joy for life! Our food and fame have gained a wide recognition all over the USA and even abroad. 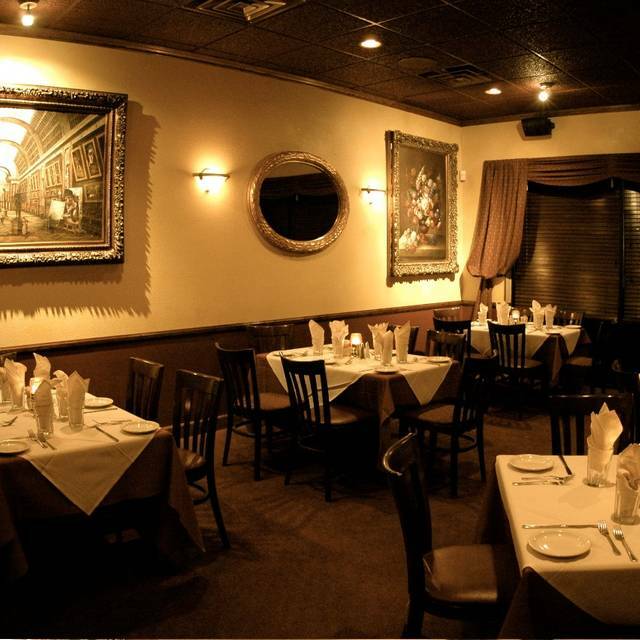 For 20 years, Tutti Santi has set the standard for Neighborhood Italian Fine Dining, combining exceptional food with world-class service and ambiance, which is not only inviting and comfortable, but allows our guests to bask in an environment reflective of Italian style and culture. La Bruschetta di "Tutti Santi"
Excellent food- they fit us in last minute- service is always awesome there - pasta is perfect! Always delicious and great service. From NJ out on vacation and someone recommended Tutti Santi - AMAZING best Italian we have had in a long time. The ravioli and gnocchi we absolutely delicious. The eggplant app was yummy and the tiramisu was so light and fluffy - BEST EVER. Real homemade food and excellent service. Can’t wait to revisit again next time. Outstanding food and presentation was marred by slow, indifferent and inaccurate service. Our waiter ignored us for long periods of time, and we had trouble getting his attention. I love this place. 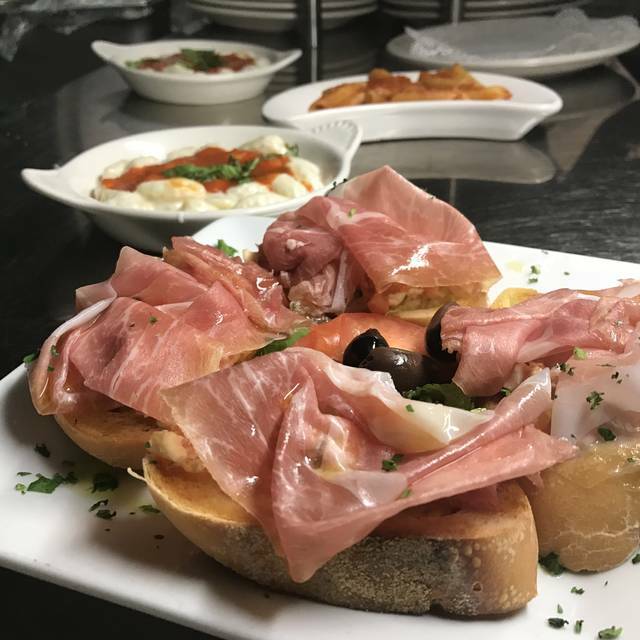 If you want awesome "true" Italian food, come here!!!!! As always, Tutti Santi did not disappoint. 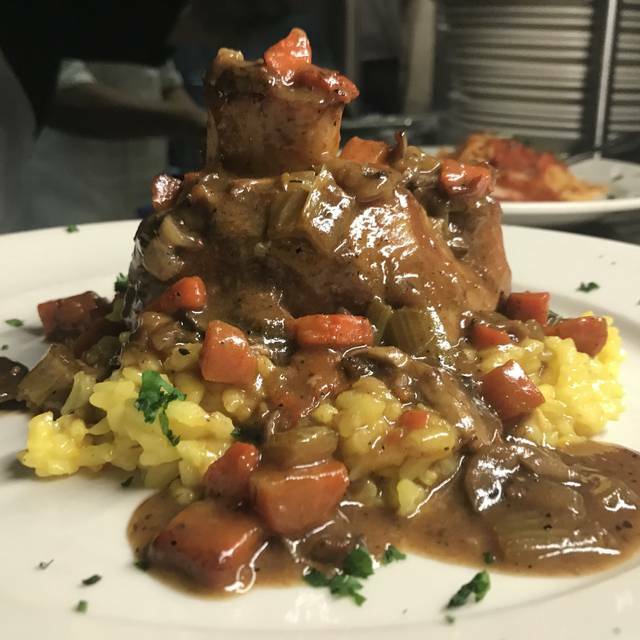 We had the two specials, one was Osso Bucco.... excellent. The other dish as a parlella with pieces of lobster claw meat and (3 good size) shrimp in a cream sauce with added marina sauce so that it was pink in color.... it was magnificent. The service and attention was excellent. This was recommended to me by my cousin and it was fantastic. The ambiance and service was on point. The food was amazingly prepared and delivered to table with class and elegance. My friends and I will make this one of our annual events when they come to AZ next year. I will frequent it as I live here in AZ. Good neighborhood Italian restaurant. Nice people, good service, reasonable prices, will return. So nice to be in a restaurant where the owner/restaurateur is working the floor assuring that every table is having a great experience. Second visit for me and it’s an awesome dinning experience! Nice restaurant with good food, capable-friendly service and a generally "OK" wine list. Reasonable price point. Very noisy. The food was delicious! We started with the ravioli appetizer inspired by the chef and fresh shrimp cocktail that was excellent. We were celebrating our 35 wedding anniversary so what better place to dine! We both had salads and then I had veal Marsala with a side of penne a la vodka and hubby had the homemade lasagna that was light and creamy , both were melt in your mouth delicious! The owner comped a lovely slice of cheesecake that we gobbled up! 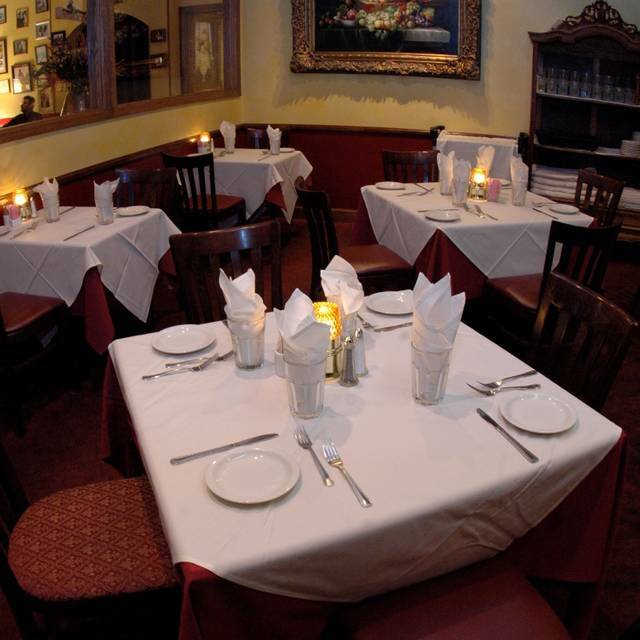 Anytime you want a delicious Italian meal with wonderful wait staff come here! Every time we come to Scottsdale on vacation we visit Tutti Santi and in the past have had a great meal with great service. This time it was very disappointing. We were seated and handed our menu's but then we didnt see anyone for at least 10 minutes to take our drink order. We finally got our food ordered but the waiter didnt take the time to explain in detail the specials. We got our meal ordered but it just wasn't the quality we were use to. We only saw our waiter three times from beginning to end of our meal. Not sure on our next visit to Scottsdale we will be going to Tutti Santi. small restaurant with a local feel. Nice variety of Italian with homemade pasta. Great little authentic Italian restaurant. My husband especially loves the cannelloni. It was good...I order lasagna .I thought it was fair.I definitely would return,but try a different entree. I really enjoyed my meal, but my wife didn’t enjoy hers. She sent it back after a few bites. They were nice enough to provide a slice of cheesecake we didn’t order and two shots (that I can’t drink) as a nice gesture, but then expected us to pay for the dish my wife sent back. Waiter explained that he tried to have it removed but the owner refused. I asked to speak with him. He came over and explained that he had to throw out the dish as a result of my wife taking some bites. Well yes, I’d assume he did. Was he hoping to reuse it!? He seemed very surprised to hear that generally speaking, I’d not been asked to pay for food we’d sent back in my previous 40 years of dining out. After some debate, he reluctantly removed the dish. I enjoyed my meal, my wife didn’t enjoy her main course. That happens. How it was handled ruined our dining experience and as a result would never repeat or recommend. Was that really worth a Chicken Parmigiana??? Great experience. House salad is simple but authentically Italian. Ravioli appetizer is heavenly. Both of our entrees were excellent. Our server, Gilda, was friendly and knowledgeable. The only issue was that I got an email from Open Table later in the evening wondering why we didn't show up (later corrected). One of my hidden favorites. Excellent pasta and service, makes you feel like you are back in Italy. The main dishes art out of this world. Chicken Parmesan to die for and Angel Hair with pine nuts and shrimp. This is not on the menu one has to request it. We enjoyed a great dinner (food-wise), except part way through they moved our table (closer to the restrooms) to make room for a bigger table. At that point we were right in the flow of the waiters coming out of the kitchen with food, so not super atmosphere. The attentiveness of the service went down when the new party arrived. Our waiter acknowledged that and brought us some free food, which confirmed they were willing to do that to us willingly. That was disappointing. I have recommended Tutti Santi to several people, and they all have loved it. I am only in Scottsdale for about one month a year, and I just concluded my month. As a result, I will not be back until 2020. But this year, I went to Tutti Santi three times and it was excellent on each occasion. I am partial to fish, and they do an excellent job. The homemade pastas also are excellent. The noise level is very acceptable. The service is almost always excellent, except this last time it fell a bit short. The waiter forgot a couple of things, and drink orders were late. But I view it as an aberration. TS is one of my top go-to spots in Scottsdaye. Fabulous!!! Our first time and will be back soon!!! The salmon was excellent and the chicken parmigiana was phenomenal! Grilled calamari was perfect!!! The cheesecake was awesome probably the best we have ever had!! 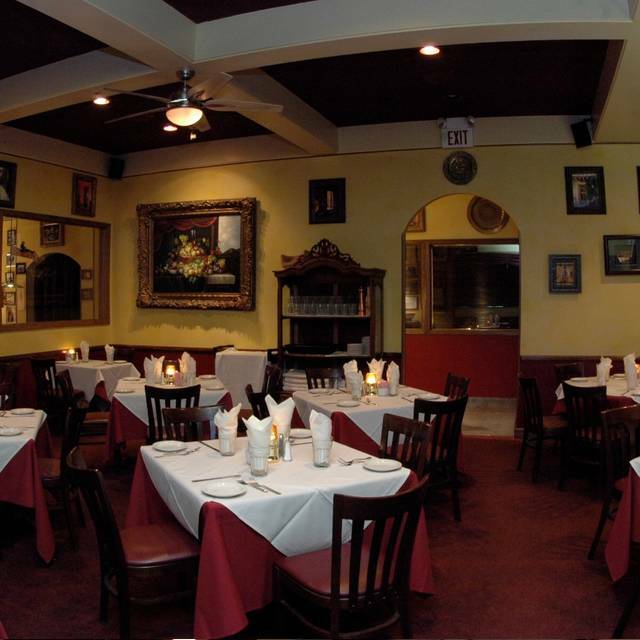 Best Italian Food in the Valley! (3) after serving our drinks, it took close to 20 minutes for our waiter Giovanni to take our order. Wonderful meal! Possibly the best ravioli I have ever eaten! 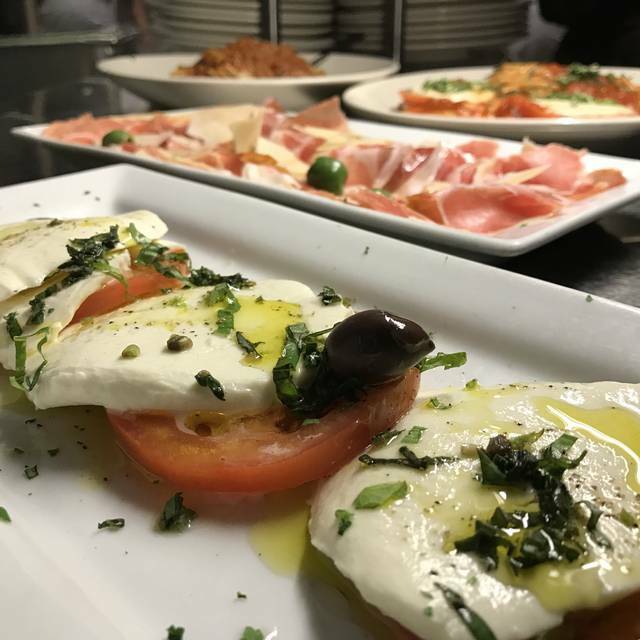 Tutti Santi is just a terrific place to dine. 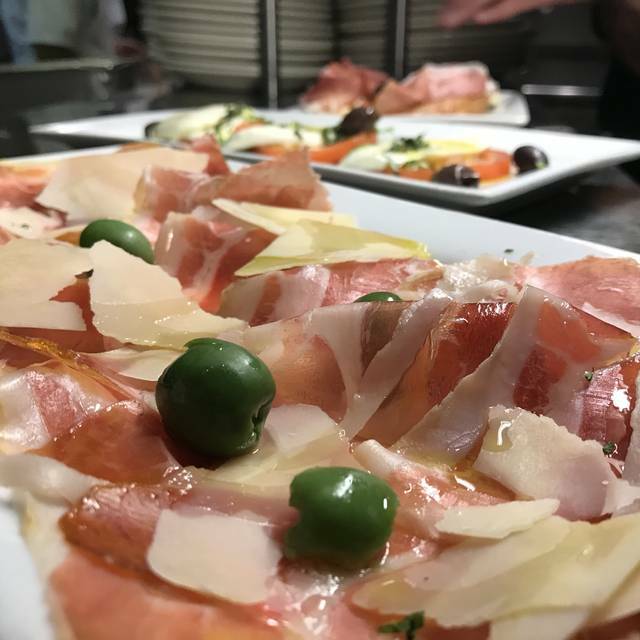 The ambiance is wonderful, the service professionally attentive, the wine list perfect for the menu, but most of all, the food is simply delicious! Great food. We go here every year on our annual golf trip, and are never disappointed. One of the best restaurants in Scottsdale. We asked for no onions on anything and onions came on the meal. They did redo it but the other guests had finished there meal. 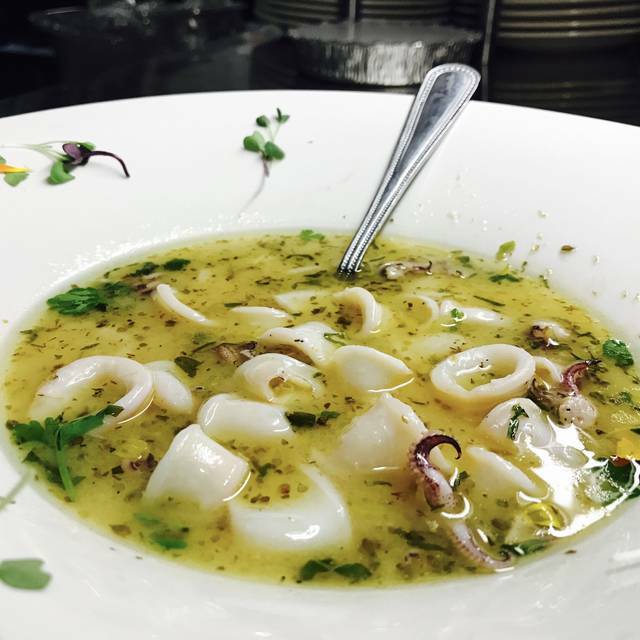 We selected Tutti Santi for our anniversary dinner based on reviews, and it did not disappoint! 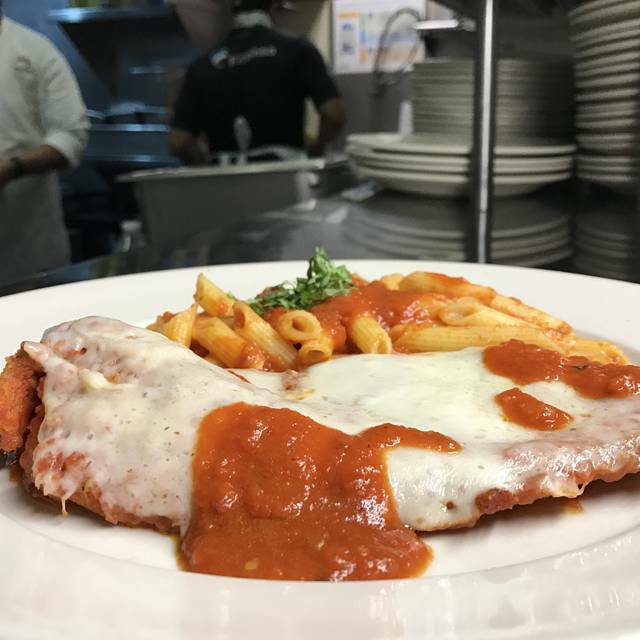 My husband had the Pollo Parmesan— it was a generous (but not insanely huge) portion, and he enjoyed it. I was torn between a few menu options, and I asked the server— he recommended the Trio di Pasta without hesitation. It was great! Again, a generous portion without being over the top. Everything was fresh and cooked perfectly. We’ll be back! We always love this place! Best Italian ever! Highly recommended!